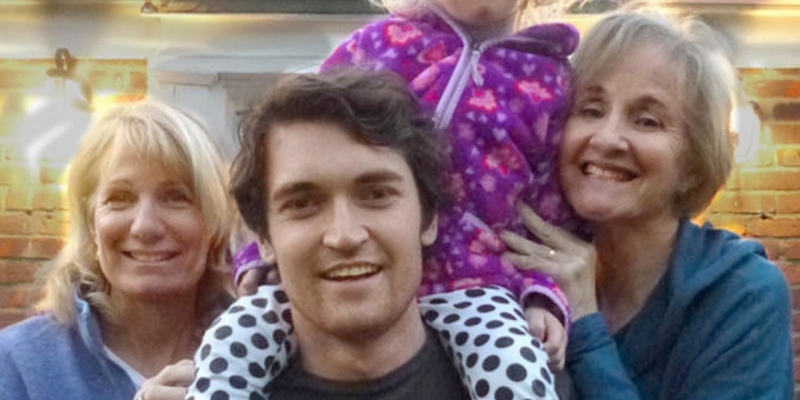 A year on from the arrest of Silk Road’s alleged founder, CoinDesk takes a look at the life of Lyn Ulbricht, mother of accused Silk Road leader Ross Ulbricht. 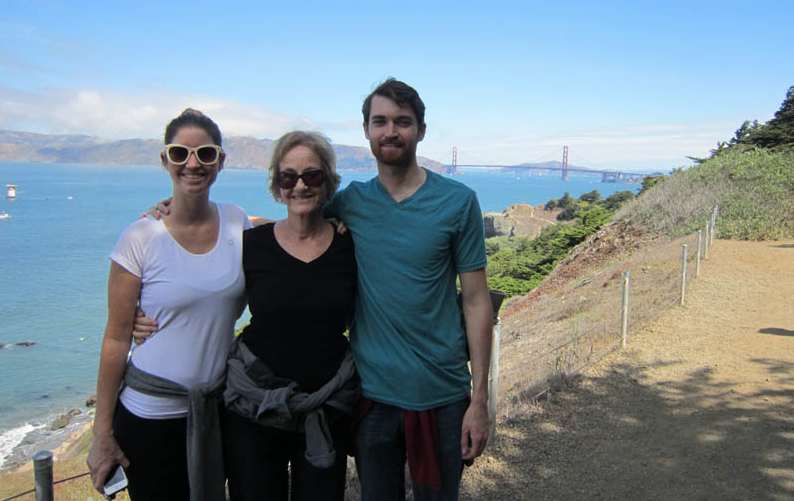 For Lyn Ulbricht, mother of alleged Silk Road ringleader Ross William Ulbricht, it’s been an intense year. It’s 1st October 2014, 365 days after her son was taken into custody by federal agents at a San Francisco public library, brought to prison and paraded on magazines. To Lyn, the day is the dawn of a different lifetime. One year later, Lyn is upbeat, sounding energetic at times, exhausted at others, prone to long sighs though open to occasional laughter when talking about her life, her son’s case and his trial set to begin on 10th November at 500 Pearl Street, New York. It’s then that the months of legal back and forth, the filings and motions that have punctuated the last year will all come to a close. Her son will face a trial that could end with a maximum life sentence for crimes the US government alleges he committed while operating Silk Road, a now-infamous online black market that earned millions from 2011 to 2013, all through a then-largely unknown digital currency – bitcoin. Still, Lyn is optimistic. She has just sent a $1,500 payment to “the lawyer”, Joshua Dratel. She says this most recent payment had left her with $62, which underscores just how much of a difference the donations to her son’s support effort, FreeRoss.org, have made. She’s thankful for Dratel at these times; he came highly recommended and is working at flexible rates. She talks passionately about the case, the latest statements from the FBI, the questions about how it acquired evidence, the struggle of caring for a son who is currently residing in New York’s Metropolitan Detention Center. She hopes that the case won’t go to trial, that there will be some “miracle”, that despite the bad breaks at every turn, the case will be dismissed at an evidentiary hearing. “I’m not looking forward to the experience of it at all,” Lyn told CoinDesk. Lyn speaks firmly when necessary, like when distancing herself from the Silk Road website, the source of all the strife. She worries about the case, about whether Ross is getting enough food, about where the money will come from for his legal expenses. “I’m concerned that it’s coming up so fast that Ross won’t have the evidence he needs to get a proper defense and a fair trial. And they apparently are coming out with new discovery, terrabytes worth … in fact I think it’s three,” she says. “It’s a lot,” she adds. The phrase will come up often in discussion. The next time we talk, that estimate doubles. What Lyn most wants to talk about is the case – how it’s about privacy, it’s about precedent. She believes, as the defense has asserted, that her son’s conviction will threaten Internet freedoms. Throughout the interview, Lyn runs through the litany of alleged issues with the government’s claims against her son. She points to the reaction from the Internet community and an article in WIRED, both of which suggest that the FBI’s claims regarding how it obtained evidence don’t add up; that at the very least, explanations are needed. She references the Mutual Legal Assistance Treaty (MLAT), how the government said it obtained warrants through such means, only to later add a curious footnote. The US, the prosecution said, does not have an MLAT with Iceland, the supposed location of the Silk Road servers and the country that helped end Silk Road’s reign as the Internet’s leading black market. Then there’s the matter of the recent court cases, like Riley v California, that she says have been ignored. That case, ending on 25th June, found that police must obtain a warrant before searching cell phones. “Not being a lawyer myself, I’m kind of unqualified to get really into it, there’s a lot here,” she adds. All of it has been core to her belief that, regardless of her son’s involvement, his case matters to everyone; that it’s as big as the digital age itself, and will prove crucial to deciding essential and still undecided interpretations in US law. “There’s a lot of constitutional abuse happening here, a lot of questions here about the constitutionality of their investigation and prosecution, and that, to me, is the bigger story,” Lyn says. For Lyn, the case has been an eye-opener. While she says she hasn’t exactly been a fan of the government over the years, she’s been alarmed at the actions it has taken against Ross, who she maintains has been unfairly accused of using the alias Dread Pirate Roberts to run Silk Road. “I find it very alarming and upsetting to think this is our government and this is how they operate. I really honestly had no idea how prosecutorial misconduct could occur and how they really obstruct justice. I feel that if they want to play fair and they have a case, and we have a case, we can have a fair trial, but they don’t play fair as far as I can see,” she says. Lyn views her son’s case as an example of expanding government power, of just how easy it is to be accused of a crime in America. Ross, she asserts, is proof of how the system really works, of how an unconvicted, non-violent person with no prior arrests can be jailed for a year without bail. “I wasn’t quite as aware as I am now,” she adds. Lyn takes an active interest in the FreeRoss.org, blogging updates in the case, visiting rallies and conferences, tweeting pictures of supporters and chastising reporters on social media. “You wouldn’t believe how many times I have to get on Twitter and track down the writer. You have to use alleged, nothing is proven,” she says, adding that she was herself a journalism major at the prestigious University of Missouri and a freelance writer. The donations, she says, are needed. Most of the contributions are in bitcoin, with the largest donor being bitcoin investor Roger Ver. The Tokyo resident and bitcoin enthusiast launched a Twitter campaign in support of FreeRoss.org this July, promising to donate $10 for every retweet a campaign message received. Ver has donated $70,000 to the campaign to date. Lyn says she hopes to meet Ver someday, so she can thank him personally. “He’s been so supportive and so innovative the way he’s done it,” she says of Ver. The rest of the money she says has come from largely unknown donors. But, she’s grateful for the supporters, whoever they are. She maintains that Ross needs a high caliber defense, especially given the magnitude of the case and its implications in Internet law. To date, FreeRoss.org indicates the campaign has raised more than $185,000 toward its $250,000 goal. “The trial baseline cost is $35,000 a week for the defense, even with Roger’s contribution, which is fantastic, it’s a lot of money,” she notes. Lyn also downplays the rumors that she somehow benefited from the 144,000 BTC seized by the government that Ross has asserted he obtained lawfully. Lyn says that helping Ross is now her primary focus. Lyn and her husband Kirk, she notes, have relocated to the Northeast, though she declines to say where, to be closer to Ross, moving from the house they were renting in Austin, Texas. Kirk remains focused on the family business, a Costa Rican vacation rental complex called Casa Bambu that now has four rentals, the most recent added in 2007. Lyn says she wants to write a book when this is over, that she’ll need to tell her story. She jokes that she’s homeless now, but with a storage unit; that she still misses Texas, even more so in the winter. As for extended family and friends, Lyn says they speak to Ross and support him when they can, and that they visit often. In addition to Kirk, Ross has a half-brother and sister, though his sister lives in Australia, making communication difficult. Ross still has no access to email, but regained phone privileges in November. Before then, things were more difficult. “We were trying to set up a thing where he was on speaker phone and [his sister] was on speakerphone, and holding the phones up so he could hear her,” she recalls. Lyn is set to visit her son on Tuesday, a trip she makes every week or two, though she she says she makes it a point to talk to Ross more regularly. He has his good days and his bad days, though they’re exaggerated by the circumstances. 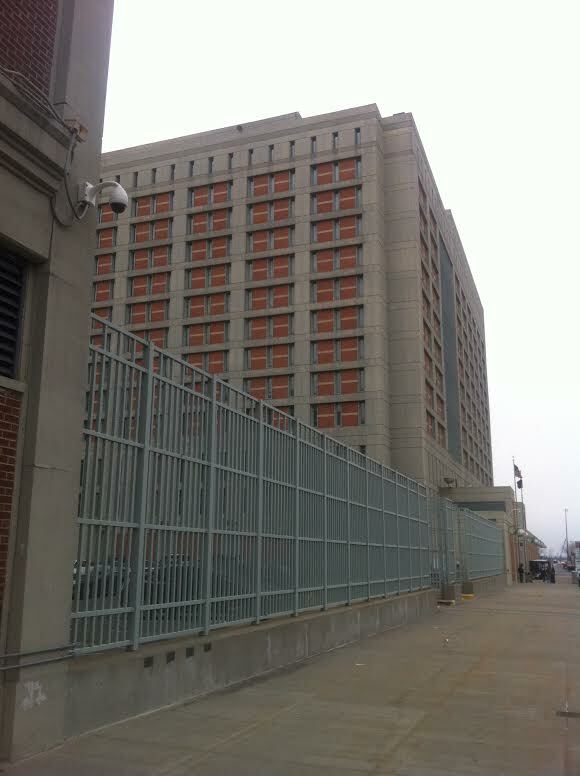 On her last visit, she was able to stay for an extra hour, due to the kindness of the corrections officers. These little experiences, she says, have kept her faith up. But, it’s the little things that make his life challenging. Lyn laments that her son, a known nature-lover, hasn’t been outside for a year. She’s proud, too; that Ross has made friends, that he’s made an impact on other inmates, that he feels he’s growing from the experience. Lyn sounds, in these moments, like any American mom – her son away to college, interning in the city, abroad for the semester. The only difference is, for now, her son is still locked away in a tall, gray and brown building in Brooklyn. “Not exactly cozy,” she says. This article is part of CoinDesk’s Silk Road: One Year On series. Keep checking back for new additions to the series.